For decades, conservatives have not been welcomed in the Democratic Party. Today, neither moderates nor mainstream liberals have a home in the party. It has been captured by an extreme band of far-left activists who espouse very progressive as well as dangerous socialist policies. This sprint to the left has intensified in recent months on a range of issues of critical importance to the American people. Incredibly, Democrats are calling for massive tax increases while the country has been enjoying the tangible benefits of tax cuts. Under President Donald Trump, a significant tax cut for businesses and individuals was passed by Congress. The result has been tremendous economic growth, an increase in the stock market and massive employment gains. In the new employment report, it was revealed that 304,000 new jobs were created in January of 2019. The labor force participation rate increased to 63.2%, the highest level of the Trump presidency. With more people entering the job market, the unemployment rate increased to 4%, but it is still a very low number by historical standards. Along with outstanding job growth, President Trump’s policies have led to an increase in the stock market, consumer confidence and a resurgence in the manufacturing sector. More needs to be done to improve the certain sectors of the economy, such as the healthcare industry, but the Democrats are refusing to repeal the vestiges of Obamacare which are still harmful. The “Medicare for all” or “single-payer” option has the support of not only Harris, but also potential presidential candidate, socialist U.S. Senator Bernie Sanders of Vermont, presidential candidate U.S. Senator Kirsten Gillibrand (D-NY) and the latest contender to enter the ever-widening Democratic field, U.S. Senator Cory Booker (D-NJ). This position will attract the far left to the Democratic Party but should cause more centrist voters to think twice about a party moving so rapidly to adopt socialist positions. All Americans should share the concerns of Howard Schultz about the direction of the Democratic Party. Their policies are downright frightening. From their tax proposals to their climate change agenda to their healthcare plans to their new advocacy of abortion on demand, even at the end of a pregnancy and after a child is born, the Democratic Party is moving so far left it is leaving the values of the vast majority of Americans behind. 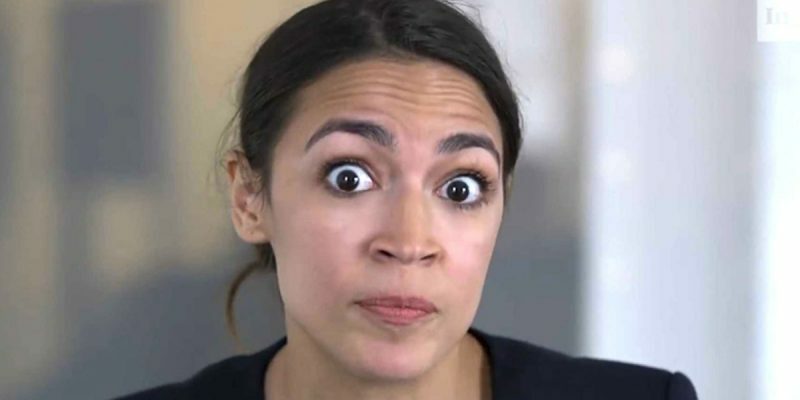 Ocasio-Cortez is an avowed socialist, just like Sanders and many of the activists who are involved in pushing the agenda of the Democratic Party. Socialism has now become mainstream in the Democratic Party, even though there are examples from throughout history of the failures of that philosophy. Presently, the ongoing crisis in Venezuela should remind everyone that socialism leads to misery. This is a country which has been in the death grip of a socialist dictatorship for two decades. It should be an extremely prosperous country due to abundant natural resources. Sadly, socialism has created rampant corruption, increasing violence and an economy so broken that basic necessities like toilet paper are rare commodities. In the 2020 presidential election, let’s hope and pray the American voters will not reject capitalism for a philosophy that is both dangerous and destructive. Socialism is overtaking the Democratic Party, but if it overtakes our government, it will destroy our country. The stakes in the next election could not be any higher.